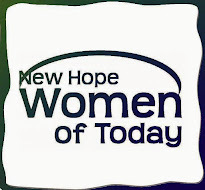 New Hope Women of Today: Let's Get Crafty!!! Join us Feb. 7th at 4:00pm at Tawn's house. Nothing says 'true love' more than a handmade token of your affection- except perhaps chocolate. How about a handmade craft and chocolate? We can make it happen. Sign-up today or at the Jan. General Meeting. Hoping to have a fun time in the midst of winter!